Originally created for MTV’s 2012 EMA, this interactive music video challenges you to explore a visual universe inspired by the zoetrope, throughout a rhythm-testing game. So do enter this fascinating carousel, but be careful, it might take you some time and energy to actually finish all the levels. Plus it’s all quite addictive! If you want to know more about music videos as interactive games, check out our Submarine Channel blog post! 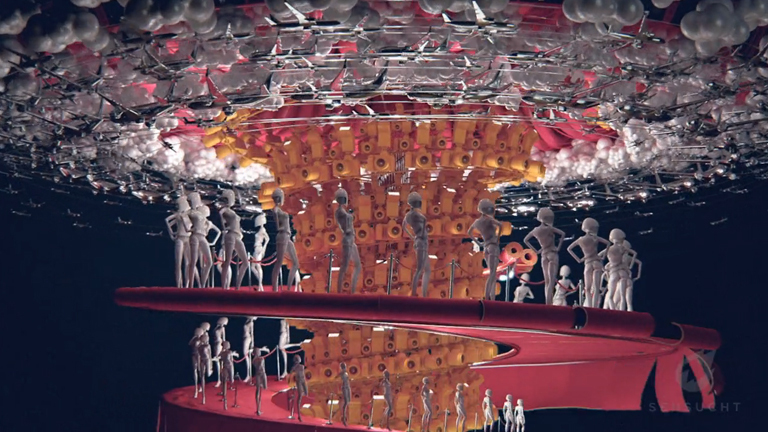 Originally created for MTV’s 2012 EMA, this interactive music video challenges you to explore a visual universe inspired by the zoetrope, throughout a rhythm-testing game. So do enter this fascinating carousel, but be careful, it might take you some time and energy to actually finish all the levels. Plus it’s all quite addictive! If you want to know more about music videos as interactive games, check out our Submarine Channel blog post!